Have you ever questioned that if your business no longer purchases and owns operational technologies like copiers, printers and computer software, why should the systems that power your organization be any different? 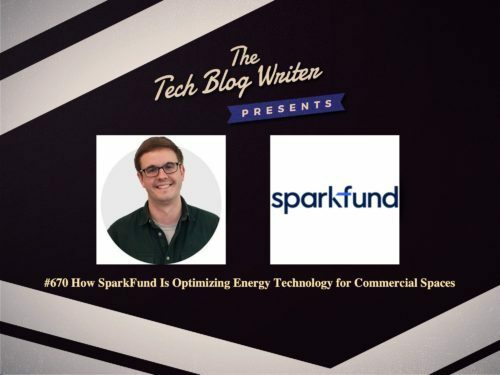 Sparkfund is literally powering organizations by providing access to the latest energy technology in a new and better way – through a simple monthly subscription model backed by a no-risk guarantee. The company partners with contractors, ESCOs, manufacturers, utilities, and energy retailers to deliver the Sparkfund technology subscription transforming how businesses implement energy technology. Could they really create positive change for the world by deploying solutions that make good business sense and are good for the planet? The concept of an energy technology subscription company focused on procuring, managing and optimizing energy technology for commercial spaces sounds incredibly intriguing, doesn’t it? It was fascinating to hear how Sparkfund believes upgrades shouldn’t be complicated or require spending lots of money upfront. And that is why their goal is to change the way energy technology is accessed. After hearing how they were helping organizations by providing access to the latest energy technology in a new and better way—through a simple monthly subscription model, I felt compelled to learn more. On today’ daily tech podcast, I speak with Pier LaFarge Co-Founder and CEO of Sparkfund. Pier is an experienced entrepreneur and changemaker. At ICF International, he co-founded a new ICF service offering focused on energy efficiency finance strategy. Pier also has experience in financial analysis, working on a major evaluation of loan financing modalities employed by the World Bank under its Climate Investment Fund program. We chat about the story behind the company and the road ahead. I also learn how he is committed to overcoming barriers to unlock the economic potential of energy efficiency.